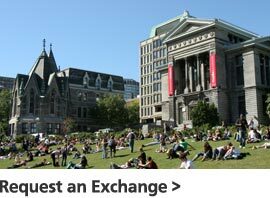 You must be registered in a degree program at a university that has an official exchange agreement with McGill. In general, students should be enrolled in the same program at their home university OR present sufficient educational background in the subject area. Restrictions apply to programs such as Law, Nursing, Music, Engineering, Management etc., this information can be found on our fact sheet that is provided to all partners, so please speak with your Study Abroad office for more details. You must be nominated by your home university to participate in the exchange. This guide does not apply to the Master of Business Administration (MBA) program, which does not participate in the university exchange agreements. 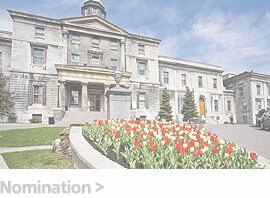 Rather, the MBA program has established a number of its own experiential activities. The academic year: Most faculties allow students who are coming for only one term to start in either the Fall term or the Winter term. 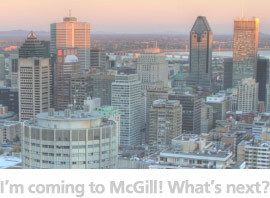 However, the Schulich School of Music strongly recommends that exchange students start in the Fall term (September). If a student is coming for the whole year, they must start in the Fall term.